What do you think are the essentials to a contemporary home? Is it the colourful elements, patterned designs or addition of fascinating furniture that sets it apart from the ordinary? 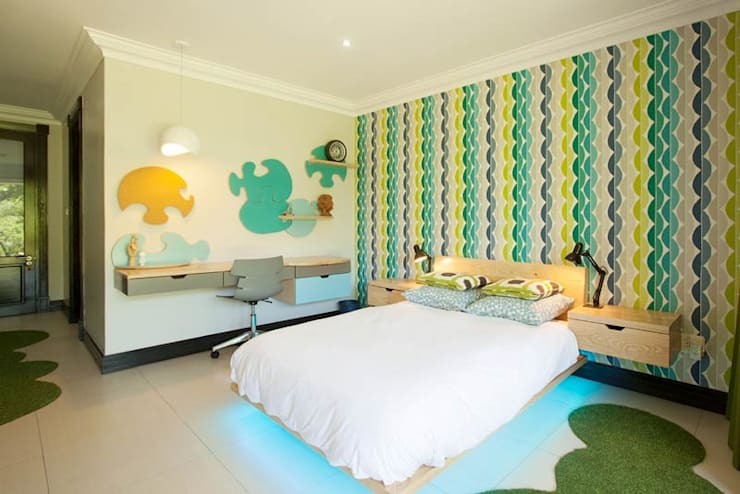 Well, in this homify 360 feature, we visit an awesome home that is sure inspire, from the pretty bedrooms to the sleek office space and of course family friendly bathroom, we cannot wait to begin exploring this home for helpful hints and tips! The master suite obviously needs a few pretty touches. 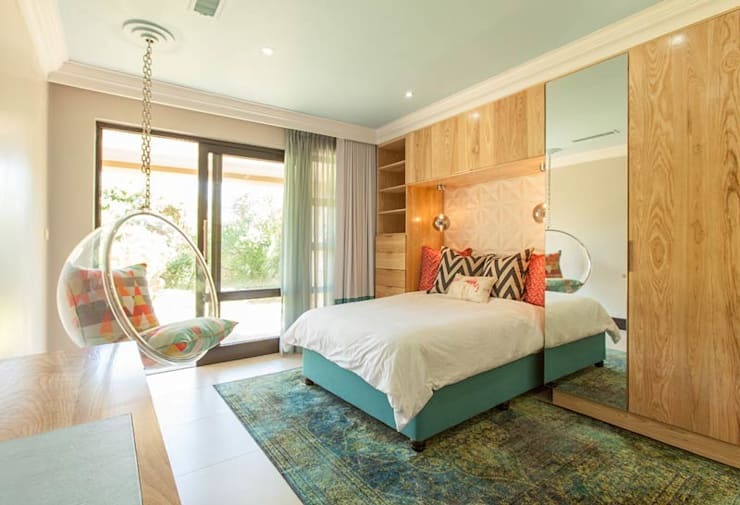 This bedroom incorporates patterned pillows, bright shades and rustic decor for a chic look. It's bathed in natural light keeping it comfortable and cosy too. When you think about a bedroom for your boy, you probably have a vision of something that's just blue all over. But, how about going for a colour scheme that can be adapted easily? It even has a workspace that allows for studying on those hectic school schedule. 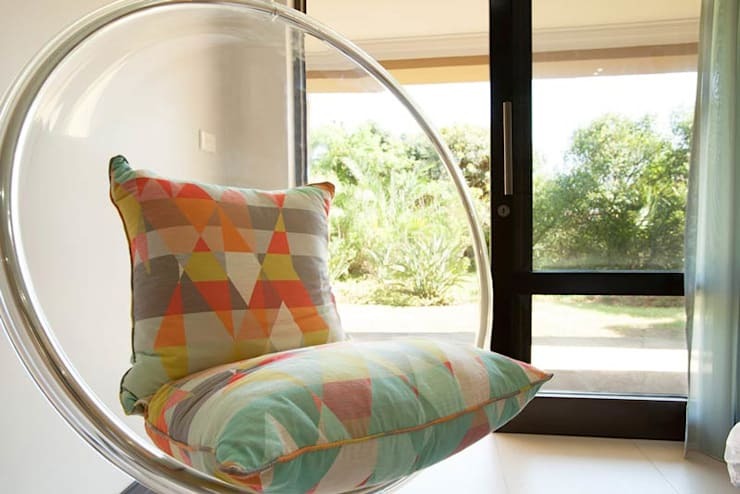 Incorporate an eclectic hanging chair for a modern decorative detail. 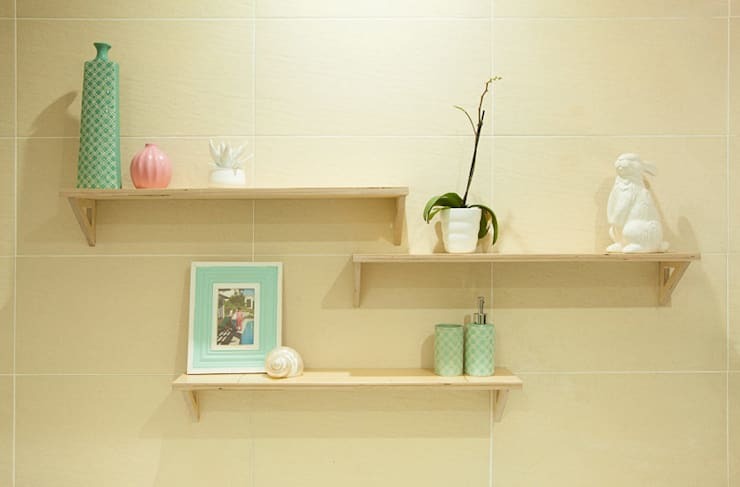 Shelving is always essential in the bedroom, bathroom or living room. Keep the design simple and add a modern angle with some pretty decorative accessories, such as a photo frame, candle or potted plant. Here we see just where the shelf fits into the home: on the bathroom wall. 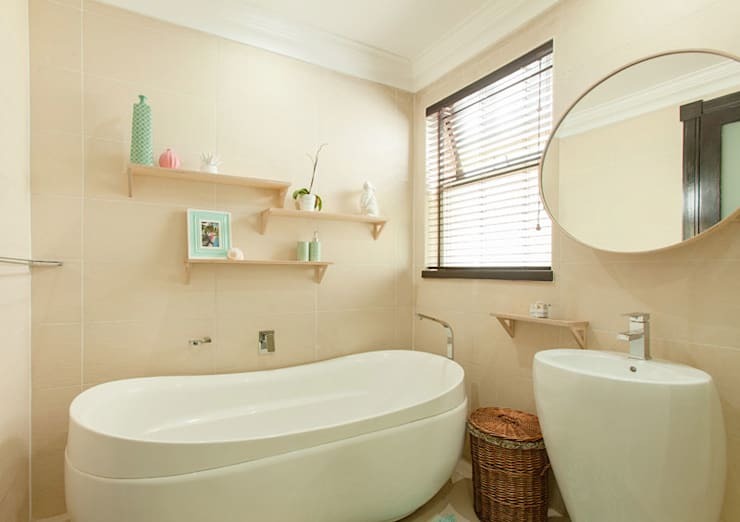 The bathtub is great for a family with small kids, especially when bath time can become fun before heading off to bed. 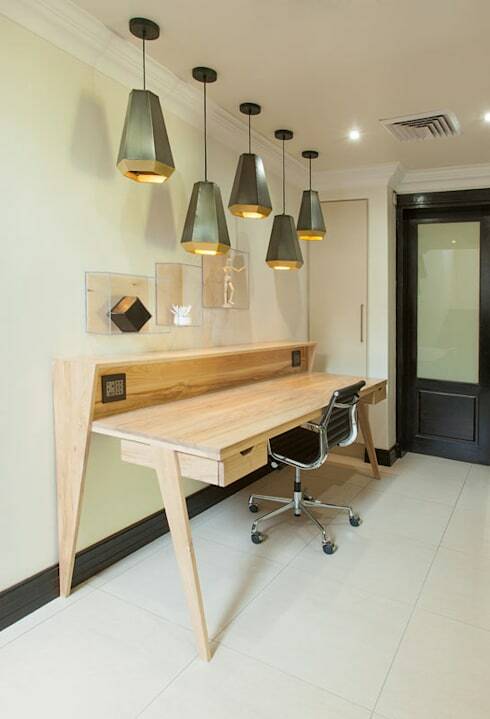 A designer desk with gorgeous hanging illumination will make a statement in any home office or living space. The drawers keep clutter to a minimum, a must-have feature in any modern home worth its minimalist charm. Still in need of inspiration? Well, here is A gorgeous home filled with glamourous details to admire! What do you think about this lovely home?